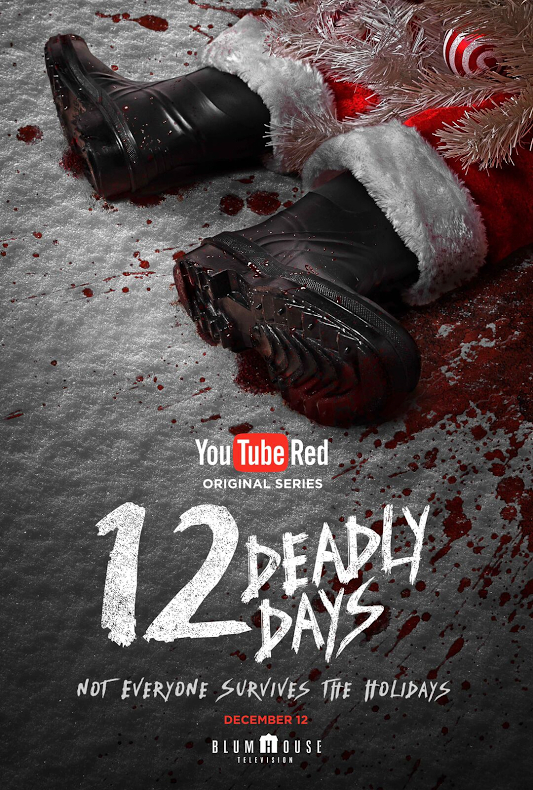 YouTube and Emmy Award-winning Blumhouse Television today announced that they have partnered on a new half hour horror-comedy series called “12 Deadly Days.” Over the course of a dozen interconnected tales, the residents of Saturn, CA find themselves terrorized by everything from killer carolers and lovelorn vampires to cursed fruitcakes and haunted Christmas trees. The series will debut exclusively on YouTube Red on December 12, 2016. 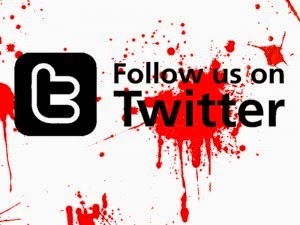 Blumhouse Television is serving as the studio on the series created by executive producers Chris Cullari and Jennifer Raite (as part of their first look deal with Blumhouse) and produced by Dakota Pictures which is set in the cursed town of Saturn during the twelve days leading up to Christmas. Troy Miller of Dakota, Josh Miller and Pat Casey also executive produced the series. Episodes in “12 Deadly Days” were directed by renowned genre talent like Joe Lynch, Joe Menendez, Eduardo Sanchez and Gregg Hale, and John Hyams as well as Miller. A huge cast of talented and well-known actors, such as Betty Gabriel (The Purge: Election Year), Kaitlin Doubleday (“Empire”), Dohn Norwood (“Hell on Wheels”), and Tom Lenk (“Buffy the Vampire Slayer”), are featured in “12 Deadly Days” along with top YouTube creators including Anna Akana, Burnie Burns, Timothy DeLaGhetto, Brittany Furlan, Tre Melvin, Mikey Murphy, Eric Ochoa, Nikki Limo, Troy Pindell, Meghan Rienks, Jake Roper and Alexis Zall. Jeremy Gold and Marci Wiseman, Co-Presidents of Blumhouse Television said: “We are excited to start this new chapter of Blumhouse Television with ‘12 Deadly Days.’ Chris and Jennifer created a unique and original series that Troy and his team at Dakota along with Josh and Pat have helped bring to life. YouTube Red is the perfect home for such an irreverent and scary series and we can’t wait to share it with everyone." Wiseman and Gold recently joined Blumhouse Television as Co-Presidents joining Jessica Rhoades, the long-time Head of Programming & Development. Blumhouse Television has quickly grown, winning two Emmy awards (The Normal Heart, The Jinx), two Peabody awards (The Jinx and How to Dance in Ohio), assembling a diverse slate of scripted and unscripted dark genre programming. Blumhouse is currently producing Sharp Objects starring Amy Adams based on Gillian Flynn’s bestselling novel and is serving as the studio for a limited series adaptation of journalist Gabriel Sherman's acclaimed reporting on Roger Ailes, shepherded by Academy Award winner Tom McCarthy. 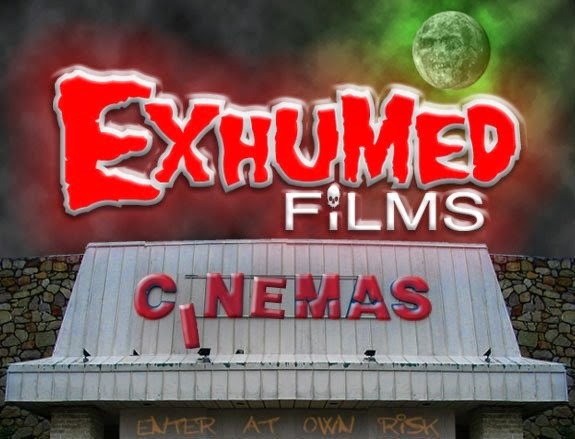 Blumhouse’s films, including the wildly successful The Purge, Insidious, Paranormal Activity and Ouija franchises, have grossed over $2 billion at the worldwide box-office. This announcement also builds upon YouTube and Blumhouse’s partnership as Blumhouse previously partnered with YouTube Spaces to bring horror-inspired, virtual reality videos to YouTube fans this October.